One of the most reliable ways to improve your investment returns is to reduce the investment costs you’re paying. That’s why low-cost index funds (or ETFs, if you can buy them without a commission) are my investment vehicle of choice. From time to time, however, people ask me whether it makes sense to put together a portfolio of individual stocks–not to beat the market, but simply to reduce costs. After all, individual stock holdings have no ongoing costs, whereas even low-cost index funds cost something. 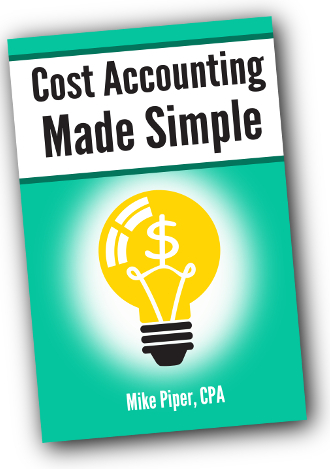 It’s true that, depending on how much you pay for stock trades, you could reduce your costs that way. And if you’re investing in a taxable account, it could provide additional tax loss harvesting opportunities as well. At a very minimum, I wouldn’t be comfortable replacing my U.S. stock index fund with less than 25 holdings or so (for instance, 2 or 3 companies from each of the 10 industries/sectors listed here). And the same goes for my international stock index fund. Surely many investors would see things differently, but setting up and tracking a 50-stock portfolio doesn’t sound fun to me. For some investors–those with very large portfolios or those who don’t mind additional complexity–the savings may be worth it. But if (like me) you place a lot of value on simplicity, it just doesn’t make sense. 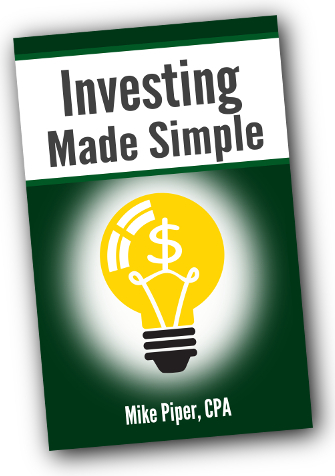 What about Replacing Your Bond Index Fund? For two reasons, I’d argue that it’s more likely to make sense to eliminate the bond index fund in your portfolio and replace it with individual holdings. First, Treasury bonds and CDs carry as close to zero credit risk as is possible (assuming you stay under the FDIC limit). As a result, you don’t have to diversify nearly as broadly as you would when replacing a stock index fund. A handful of Treasury bonds or CDs–one of each of, say, 5 different maturities–would be perfectly reasonable. Second, you can often find higher yields on CDs than on Treasury bonds of similar maturity–thereby allowing you to increase your return without a meaningful increase in risk. But again, it’s more hassle–shopping around for the best CD rates rather than just funneling money into the same index fund every month. Only you can decide whether or not that makes sense for you. In the last few months I’ve received numerous questions about what to do with your portfolio if you expect inflation to shoot upward in the near to intermediate future. Is High Inflation in Our Future? Despite all the press inflation has received recently, the market’s expectation for inflation appears to be rather modest. The difference between yields on TIPS and nominal Treasury bonds of a given maturity is a good estimate of the market’s expectation for inflation over that period. Based on current yields of nominals and TIPS maturing in early 2021, the market appears to expect inflation of approximately 2.6% per year over the next decade. Not zero, but not exactly off the charts either. But What if the Market is Wrong? Of course, it’s always possible that the market will turn out to be wrong. Inflation could end up being significantly higher or lower than the market’s prediction. If you’re entirely dependent upon your investments for income, you’re more exposed to inflation risk than somebody who is still working (or who could easily go back to work). If you rent, you’re more exposed to inflation risk than somebody who owns his/her home. If a significant amount of your retirement income is made up of a pension (or income annuity) without inflation adjustments, you’re more exposed to inflation risk. Shorten the maturity on your nominal bond holdings. If inflation spikes upward, short-term bonds would be less affected than long-term bonds. Move more of your bond holdings into TIPS. Don’t prepay your mortgage. Having a low, fixed-rate mortgage during a period of high inflation would mean that you’re borrowing money at a very low–or even negative–after-inflation interest rate. If somebody tries to tell you that TIPS offer little protection against inflation because the government’s measure of inflation does not include food or energy, do not listen. While the “core inflation” figure published by the Bureau of Labor Statistics does indeed exclude food and energy prices, CPI-U (the figure upon which TIPS adjustments are based) does include both food and energy. While stocks can be expected to outpace inflation over the long haul, they are not a very good hedge against sudden unexpected inflation, because you cannot count on them to conveniently shoot upward in price when inflation strikes. If I had to place a bet on either the market’s expectation (modest inflation) or the mainstream financial media’s expectation (high inflation), I think you know where my money would be. The market isn’t always right, but I don’t often like to bet against it. One topic that’s popped up several times recently in readers emails is that of deduction timing. 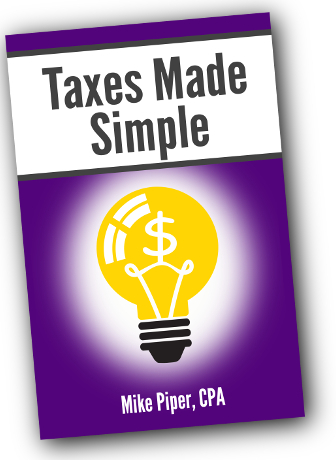 I thought it might make sense to knock out the three most common related questions before wrapping up tax season. Expenses are recognized when paid (as opposed to when the corresponding service is performed). So for the person above, the deduction would apply to 2011 (when the payment was made) rather than 2010 (when the procedure was performed). Related note: Income is considered to be received whenever you have “constructive receipt” of it–that is, whenever it’s made available to you without restriction. So, for example, if somebody writes you a check and hands it to you, you’ve now “constructively received” it, even if you don’t actually deposit it in your bank account until a future tax period. For expenses paid by credit card, the relevant date is the date of the transaction, not the date that you actually pay the credit card off. For costs that are expected to provide a benefit for greater than 12 months, the general rule is that they must be capitalized (recorded as assets) and amortized/depreciated over time. If, however, you purchase equipment for use in a business, you can usually use the “Section 179 election” to deduct the entire cost in the year you place the equipment into service. Exception #2a: If the equipment is “listed property” (computers, phones, cameras, and just about anything else fun) and the business-use percentage is 50% or below, you cannot claim the Section 179 election. That is, you’ll have to depreciate the equipment over time. 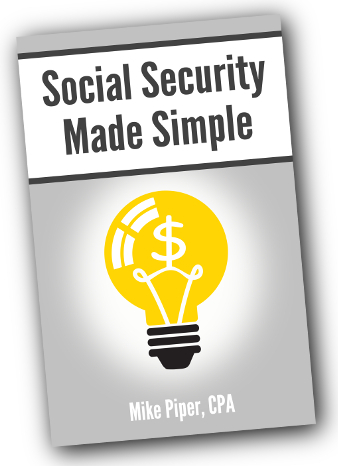 Today’s Social Security planning topic is the most basic married couple scenario possible: one in which, of the two spouses, only one is eligible for his/her own Social Security retirement benefit–because the other was a full-time parent or volunteer, for instance. First, we need to cover a little background information: spousal and survivor Social Security benefits. When the non-working spouse reaches age 62, he/she can begin claiming a Social Security benefit simply for being the spouse of an eligible worker. 1 year before FRA, the amount will be reduced by 8.33%. 2 years before FRA, the amount will be reduced by 16.66%. 3 years before FRA, the amount will be reduced by 25%. 4 years before FRA, the amount will be reduced by 30%. 5 years before FRA, the amount will be reduced by 35%. Note: You cannot claim spousal benefits until the working spouse has filed for benefits as well. If the working spouse has reached FRA, he/she can, however, file for benefits and immediately ask to have payments suspended, thereby allowing them to continue to grow as if he/she had not yet filed. The widow or widower of a person who worked long enough to be eligible for Social Security can claim a survivor benefit starting as early as age 60. If the surviving spouse has reached full retirement age by the time he/she claims survivor benefits, the survivor benefit is 100% of the deceased worker’s benefit. If, however, the surviving spouse claims survivor benefits prior to FRA, the amount will be reduced (to 71.5% of the deceased spouse’s benefit if the survivor claims benefits as early as possible–age 60–and increasing from there each month). Note #1: If the (now deceased) working spouse claimed benefits earlier or later than FRA, the surviving spouse’s benefits will be based on the benefit that the deceased spouse was receiving rather than on their Primary Insurance Amount. Note #2: If the surviving spouse was already claiming spousal benefits, survivor benefits will replace the spousal benefits rather than be added to them. So When Should Each Spouse Claim Benefits? You expect to live longer than average. You expect not to live longer than average. Note: There is no benefit, however, to waiting beyond full retirement age to claim spousal benefits, as they do not continue to increase for waiting beyond that point. And for the Working Spouse? As we’ve discussed before, delaying Social Security is akin to buying an inflation-adjusted single premium immediate lifetime annuity–one that’s a heck of a deal for many investors because it comes with a significantly higher payout and lower credit risk than annuities you can buy in the private marketplace. For the working spouse in our scenario, delaying Social Security (or filing for benefits and having payments suspended) is just like that–but better. In addition to an unusually high payout and unusually low credit risk, the annuity now comes with a significant survivor benefit as well. The longer you expect the non-working spouse to live, the better delaying benefits becomes. Note: The above discussion assumes that neither spouse is disabled, that the couple has no disabled children or children under age 16, that neither spouse has a pension other than Social Security, and that neither spouse remarries. Also, as mentioned, we’re assuming that one spouse has no worker benefit of his/her own. If you claim both a worker benefit and a spousal benefit, the amount you receive will be equal to the greater of the two. I met with an investment counselor at my bank. I liked him personally, and he was very respectful of my investment goals. He came up with a portfolio of five different American Funds offerings–a mix of domestic stock, international stock, and bond funds. The downside is that American Funds requires me to pay an up-front fee equal to 3.5% of my investment. I’ve read about the advantages of index funds, which I can purchase cheaply through an online brokerage. I am leaning toward that type of strategy, but can online discount brokerages advise me on how to use index funds to put together a portfolio? Or will I be on my own? Or is there somewhere else I should seek advice? American Funds are definitely not the worst thing a person can invest in. That said, I’d generally recommend staying away from sales-loaded mutual funds and the brokers who sell them. For example, based on Jason’s statement that he’d be paying a 3.5% sales load, it appears that we’re talking about an amount between $100,000 and $250,000. That means that, at a minimum, he’s looking at an up-front cost of $3,500 for this advice. You can get a good financial plan for significantly less than $3,500. Jason raises a good point about discount brokerage firms: They generally don’t offer financial advisor services. But that’s fine. In fact, even if your brokerage firm does offer such services, I’d generally steer clear. As I’ve mentioned before, brokerage firms have a vested interest in getting you to do what’s profitable for them, rather than what’s profitable for you. As such, I think it’s usually a good idea to invest with one company (a discount brokerage firm of your choosing) and get your advice from a different company. In my opinion, hourly-fee advice from an independent advisor is the least-biased available. There is one noteworthy exception to my suggestion to avoid advice from your brokerage firm: Vanguard. Vanguard has CFPs on staff who can help with managing your portfolio. As we’ve discussed before, Vanguard is (indirectly) owned by clients, so there’s not much of an incentive for them to recommend anything other than what they believe is best for you. Their funds are always among the cheapest in each category (especially if you request that the CFP stick to index funds). For people with accounts of $500,000 or more, the service is free. For people with accounts between $50,000 and $500,000, it costs a flat $250. For people with less than $50,000, it costs $1,000, though in most cases a portfolio of less than $50,000 shouldn’t be terribly difficult to manage on one’s own.